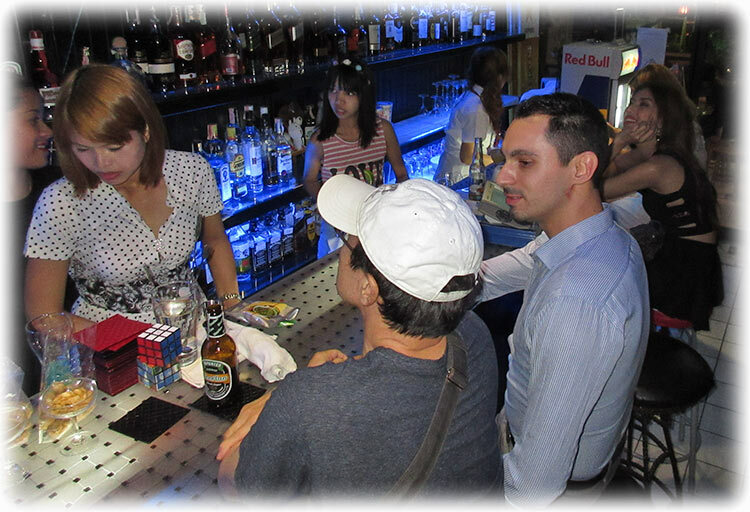 Thursday 5th of February 2015 and it was not all that easy to find the place on Sukhumvit Soi 12. They had told me that it would be on the parking place to a massage place. They told me that there would be 80 people at the party, it was maybe 20 to 30 people there. I guess there isn't that many of us around in Bangkok, but anyway, the world is small. He had 5 big kegs of Leo beer, not the best beer. But it was OK with ice, and I had have quite a few San Miguel Light before coming here. So I guess they could have served just about any beer and I would not have tasted the difference. I have no clue how many of the Leo beer I had, or what time I was back home. But I guess it was a few too many and I was really glad that I had prepared my hangover pack. 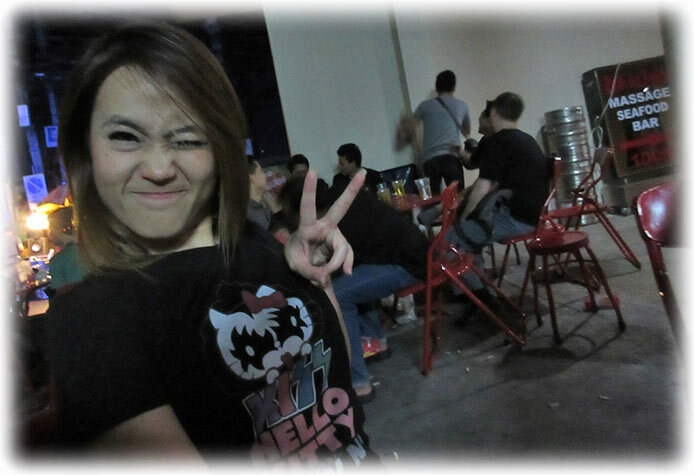 And I will meet another friend tomorrow for some beer. I was waiting for the elevator at school and he came out. I had not seen him in a few years. 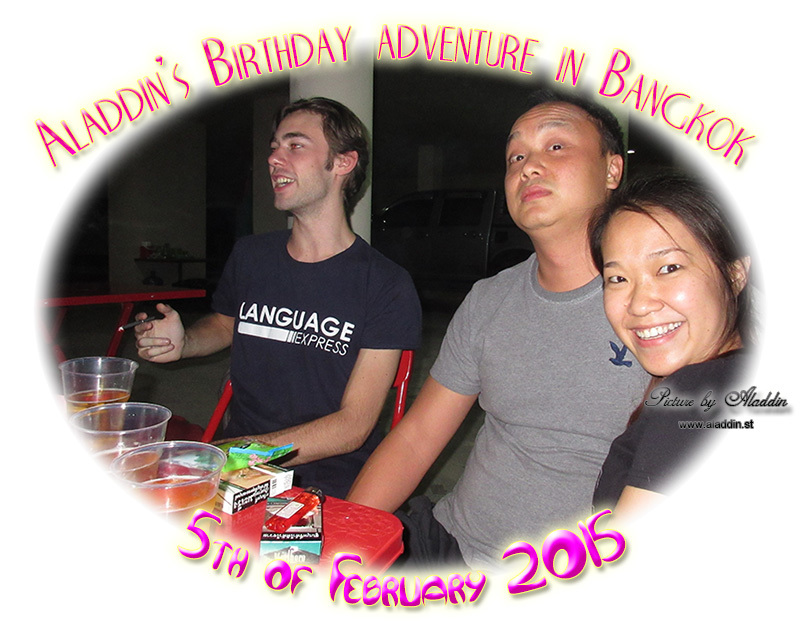 I thought he had left Bangkok as my other friends from France had done. 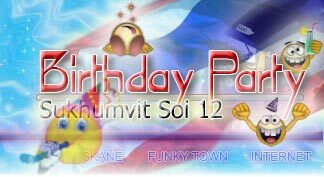 Thonglor Soi 13. 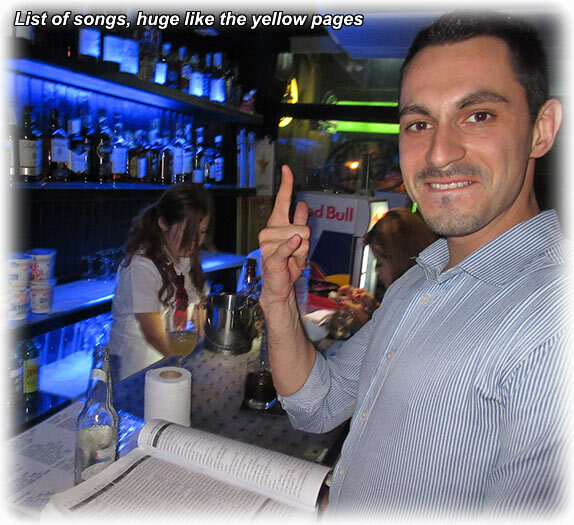 A place called Seen Space, I have not been drinking at Thonglor for a very long time now. So it will be nice to come back. And I'm pretty sure I will arrive as the Charisma Man, by the help of my hangover surprise. 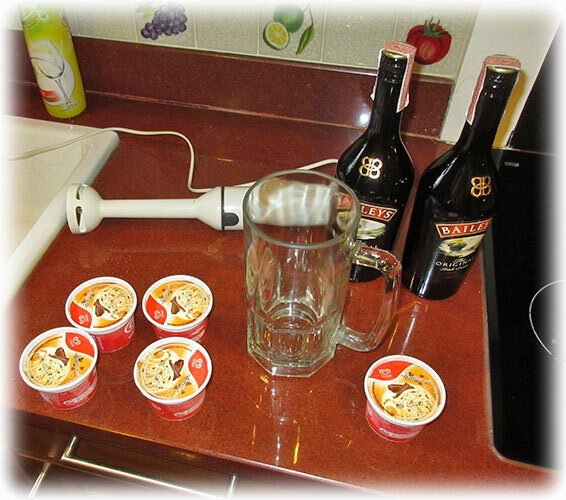 Baileys and ice cream, can it get better? Maybe to stay home would be better, and my friend called. We will do our boxing session tomorrow. So I guess that will not be a nice one. He will call mid-day, at least I hope it was calling at mid-day and not coming here at mid-day. Well, we will see tomorrow. Right now, after 2 hangover surprises it is no problem. But, it is just a hunch, I have a feeling that this can change during the early morning. But until then, I have my best man (Charisma Man) on the job. And God help us of the Obnoxious Man shows up, this is a guy we can really live without. 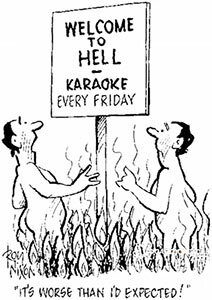 Well, anyway, Charisma Man is ready to throw himself out in the Friday afternoon traffic in Bangkok to get to Thonglor Soi 13. And my new (old) friend confirmed what I had thought for a while now. The traffic is terrible, but not as bad as pre 1997. If you tell people that it was much worse pre 1997 they think you're crazy, the people that never experienced the pre 1997 traffic that this. We “old people” remember how it could take one to two hours to get from Asoke to Soi 4. 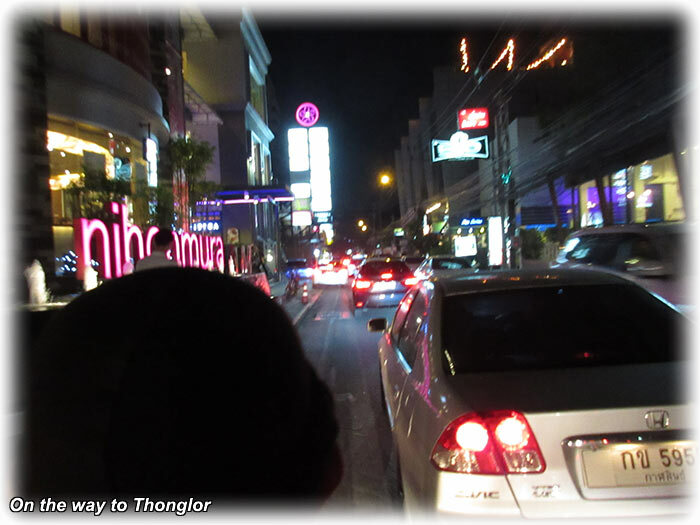 I would never make it to Thonglor in time in a taxi. 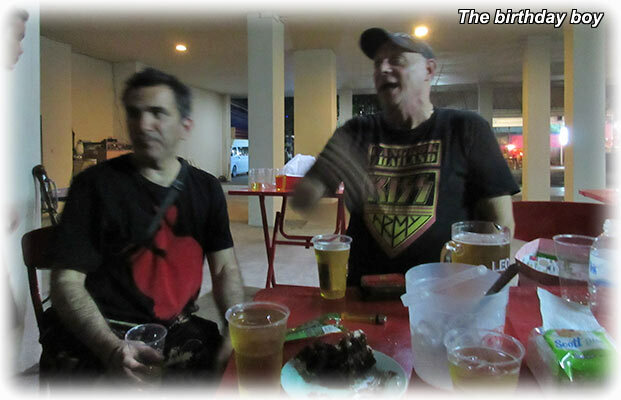 So I took a motorcycle taxi to Thonglor and we did it in less than 10 minutes going via the alleys off the Sukhumvit. Well, we had to use Sukhumvit between Soi 31 and Soi 33/1. A very wise move to take a motorcycle. I don't like to sit on a motorcycle in Bangkok, but we drove slowly so I was very happy and the driver got a 50 Baht tip. 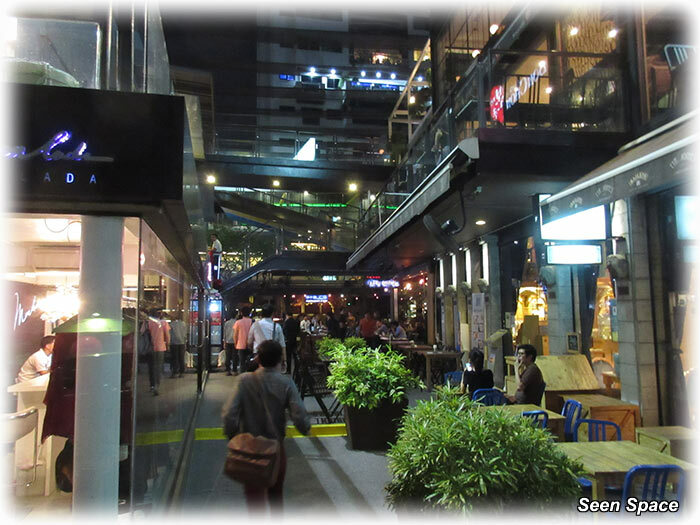 Seen Space, I thought it was a pub but it turned out to be some kind of a Plaza on Thonglor Soi 13 and there were several pubs and restaurants. I arrived 10 minutes before 8 o'clock and I will meet my friend at the entrance at and that gave me 10 minutes to explore the place. I tried to get a San Miguel light at one of the places, but they only had wine. I ended up in another place but they only had milk and cookies. Well, it was almost 8 and I went to wait for my friend and he arrived with his girlfriend a few minutes later. We went to a pub and as we wanted AC we took a seat inside. We were soon having beer on the table. 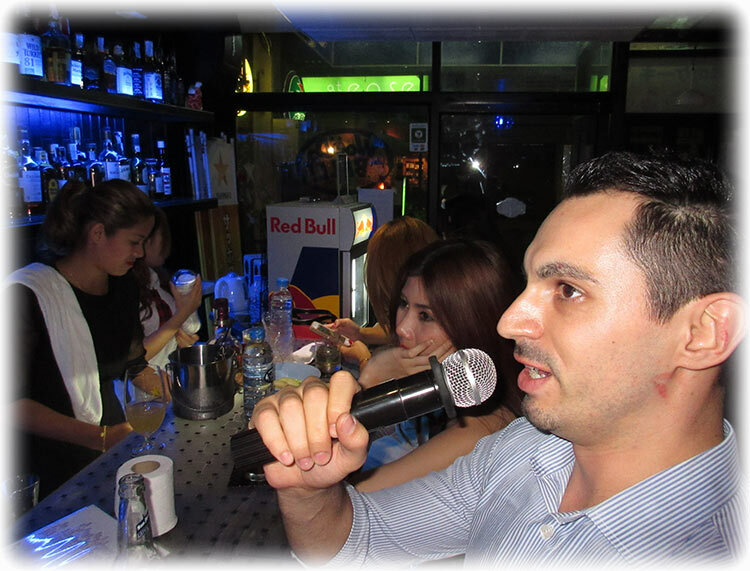 We spent a few hours at the place and my friend wanted to go to a Karaoke place on Sukhumvit Soi 33/1. The Wood Ball, newly open and there is one on Soi 53 and another one down at the Silom area. 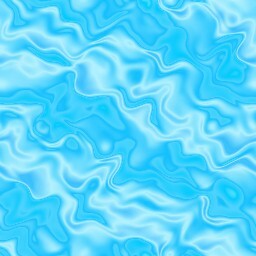 But this one is new. 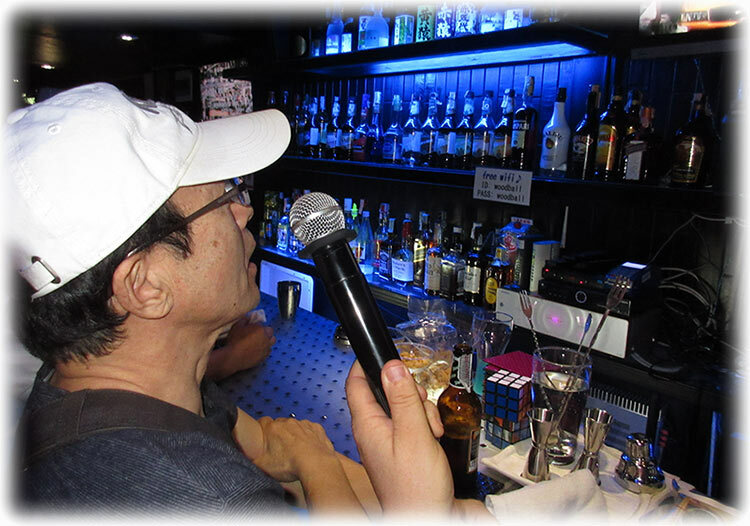 It was like a small karaoke bar, just like one you can find in Tokyo. We took our seats next to an old Japanese guy. They had San Miguel Light and we had them coming in a steady stream. The guy next to us spoke exactly ZIP English. 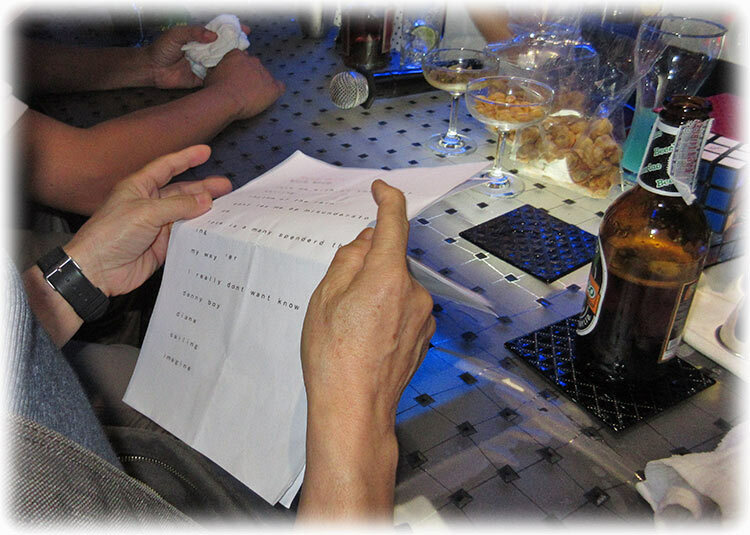 He had a bunch of papers from his travel agent back in Japan, among them a list of songs he wanted to sing. Well, he could say Bon Jovi in English and we helped him to find the song. My friend speaks Japanese so he was an instant success. 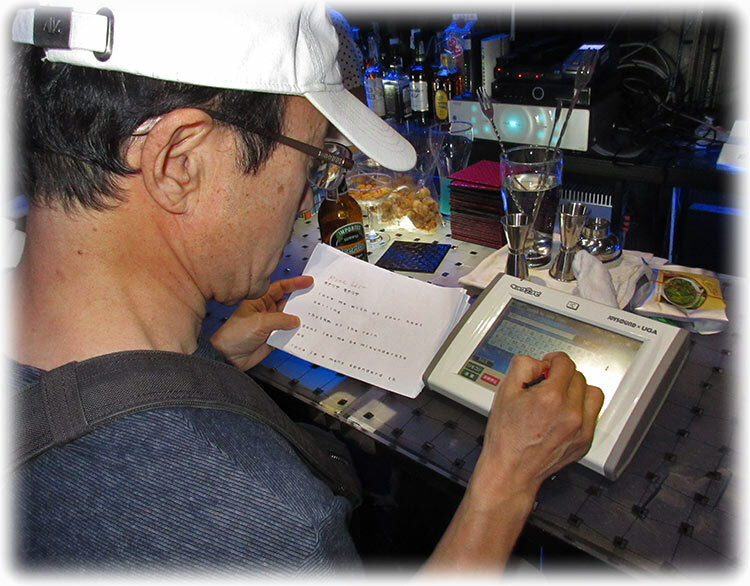 He searched the song book, must have been a million pages in that book and the Japanese guy was happy when we found the Bon Jovi. He had a long list of songs he wanted to sing, this was prepared back home in Japan so he had really planned for this holiday in advance. 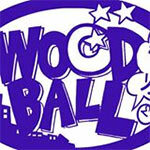 It was fun at Wood Ball and I think this Wood Ball branch is the best I have been to so far. 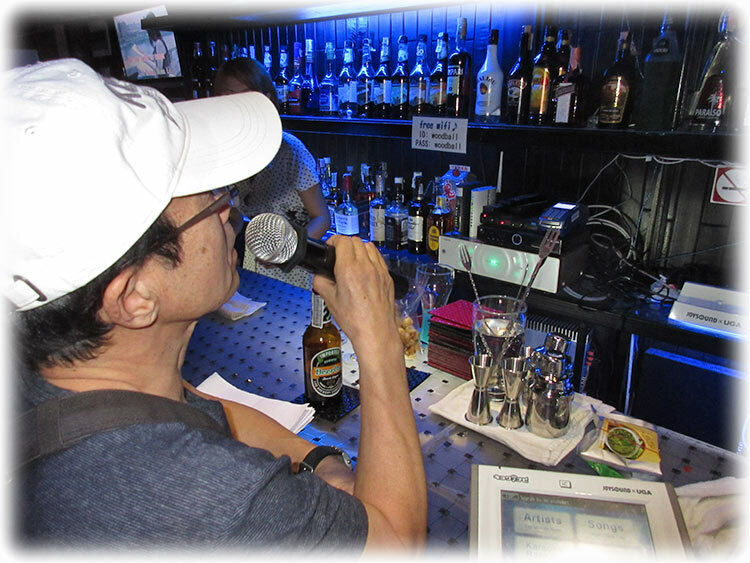 I have been with my friend at the Silom branch and it is too crowded, at least last time we were there and I Was drinking soda water only. If you're drunk it is another story. 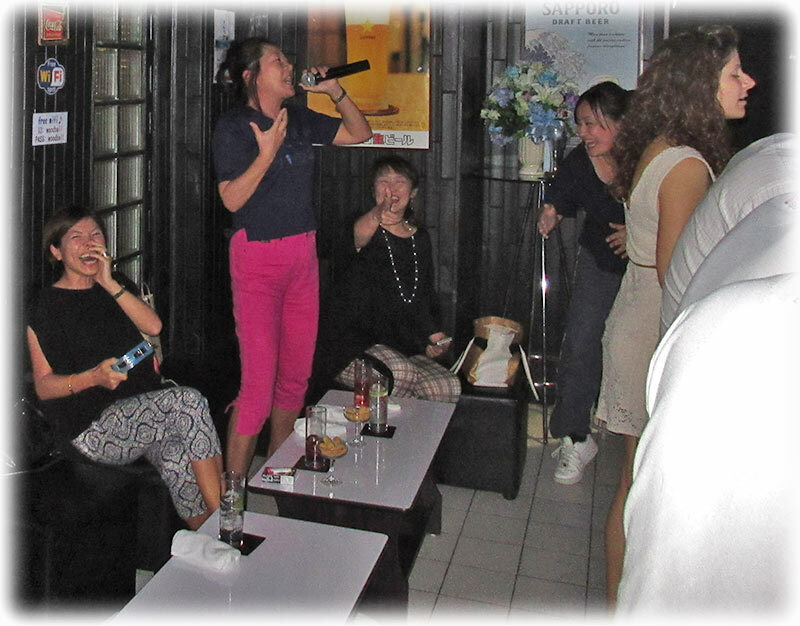 We stayed for a few hours before we left for GLOW on Sukhumvit Soi 23. Will they let me in? The guy in the door lives in my area and he ask me why I have not been at GLOW for a long time. A few years since I was there last time. 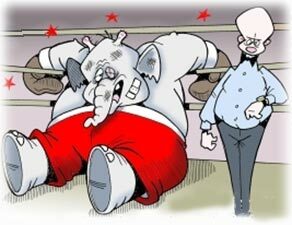 I have given up party, but I tell him that they don't let me in. More San Miguel Light, yeah, no problem to get in and they remembered that I was drinking San Miguel Light. Saturday 7th of February 2015 and it was kind of OK as long as I stayed in bed. My friend called and of course, I was ready for some serious boxing. It was a wee bit different when he arrived. We did 3 rounds, and that must have been the most pathetic rounds ever. Where is Hangover Heaven when you need them? Hmm, maybe I should open a branch here in Bangkok. 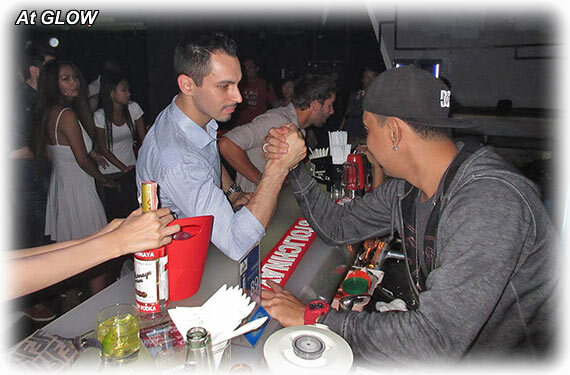 Well, someone told me there was a Hangover Heaven in Pattaya but that is too far away.